StarCraft 3rd person RPG Game! Five years, several battles with Blizzard and $ 84,000 collected kickstarter was needed to fansite mod StarCraft Universe saw the light of day. Third-person eRPeG in the world of Starcraft? Already you can download it! When we first announced the project in 2011, few people thought that will eventually lead him to the end. There were plenty of obstacles, but the most serious was the opposition Blizzard’s lawyers to use his world by people unrelated to the studio. The creators of fashion with a little game buried, reduced some of its scale (Universe had to be de facto starcraftowym World of Warcraft), changed his name, and even eventually came to terms with the Blizzard, who gave the green light to complete the project. Okay, but what exactly is StarCraft Universe? Maybe instead of writing I’ll show you how to play, I guess you could call it a “separate” production, it looks like in action? 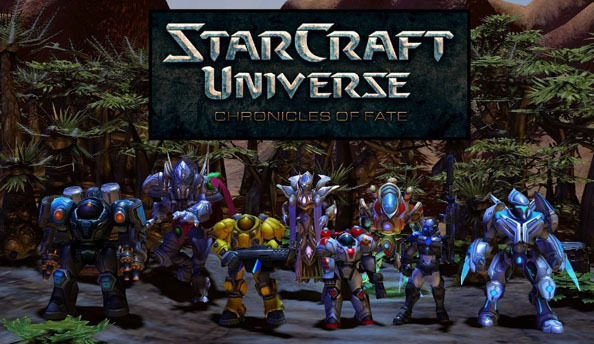 At its kickstarter creator of Upheaval Arts they wrote that they wanted to combine elements RPG native of WoW, add to the combat mechanics taken from Diablo and connected to the management system by ship from the game Faster Than Light – the result of this work is the StarCraft Universe, which came yesterday a phase of open beta. Here you instructions on how to join. “We wanted to make the game completely dubbed by actors, with a unique history, his art and fresh soundtrack” posted Upheaval Arts. Assess whether they did all this, I will leave you. Plots game does not fit in the events that took place in StarCraft, because the narrative uses a new, alternative world. You play it in one of the survivors who managed to survive interplanetary war. If you do not have a StarCraft Universe and would like to try it, you can always reach for a free starter, and then download and install the mod. It consists of four parts, of which the first three are introducing the game tutorials, and only the fourth position – SC Universe: Beyond the Koprulu – is the “right game”. Let me know how any of you decide to download and test the Universe. In the movies you can see that a lot is happening there: combat vehicles, aircraft, infantry, or until 8 playable character classes give hope that the mod – although fansite – can be very addictive production. And not just for fans of StarCraft.